Are you looking to add some extra income to your life? Do you have a lot of equity in your home? A reverse mortgage can help you get money out of your home that you can enjoy today. Depending on your circumstances, a reverse mortgage may be a great choice giving you supplemental income for the rest of your life. To determine how much you may be eligible for use our reverse mortgage calculator. Most people get a type of reverse mortgage that’s called a Home Equity Conversion Mortgage (HECM), and is backed by the US government. You have to meet some specific criteria in order to qualify for this type of mortgage. It’s pretty simple, really. This table illustrates how much you could get for a reverse mortgage based on your age and property values. When you decide to get a reverse mortgage, you no longer make monthly mortgage payments. The bank pays YOU instead. You can get this money in a few ways – monthly payments, a lump sum or a line of credit. Your choice. To see how much you qualify for use a reverse mortgage calculator, determine how you would like to receive the money, and compare reverse mortgage offers to get the best deal. The bank loans you this money based on the current market value of your home. You can stay comfortably in your home for the rest of your life, enjoying supplemental income from a home you spent years paying for. The loan is eventually repaid – either when the home is sold or when you pass away – this includes the amount borrowed, plus any interest. At that time, the remaining equity belongs to you, your surviving spouse or heirs to your estate. As of 2012, there were 563,700 Reverse Mortgage Loans in the US. Based on current data, this number is expected to nearly double to 966,000 by 2030. Many seniors today are finding that they just don’t have the retirement funds they really need. A reverse mortgage can be a big relief offering them greater financial independence and more breathing room to enjoy their lives. But what if you’re facing foreclosure? If you have equity in your home but have fallen behind in your payments, a reverse mortgage could actually save the day and help you stay in your home after all. 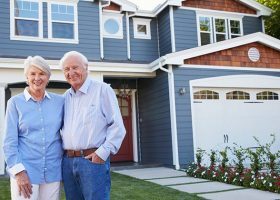 Reverse mortgages can be a great option for seniors with specific economic circumstances while other seniors might do better with another solution. Everyone is different so it’s important to consider the key factors before delving in. For example, what if you die and your spouse is not listed as a borrower, or has not yet reached the age of 62? 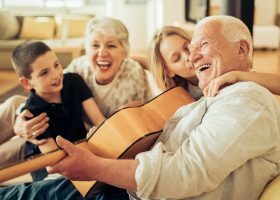 The good news is that under new laws, the surviving spouse is now able to stay in the home for the rest of their life if they choose – even if they are younger than 62. That’s because the loan amount is actually based on the age of the younger spouse even if they are not on the loan itself. 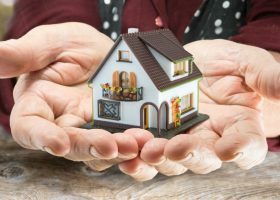 This way, if the spouse on the loan passes away, the remaining spouse may stay in the home and enjoy the remaining income without fear of foreclosure. If don’t plan on staying in your home for a long time, be sure to take a look at the loan origination costs. Those costs are paid upfront and can be costly. 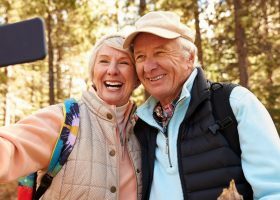 So if you think you may relocate, downsize or head to a nursing home in just a few years, you’ll want to consider whether these fees makes sense in the long run. ​What are the typical fees? The minimum fee for HECM is $2500 with an overall cap of $6000. Other fees include appraisal, and other closing costs such as title search and insurance, surveys, inspections and recording fees. For more specific fee details, talk to your lender. ​What if I need to move to a nursing home and I have a reverse mortgage? It depends. If you need to go a nursing home for a short time (anything less than 12 months), you can return to your home. If, however, you make a permanent move (longer than 12 months) to a nursing home, you most likely will have to sell your home to pay off the reverse loan.